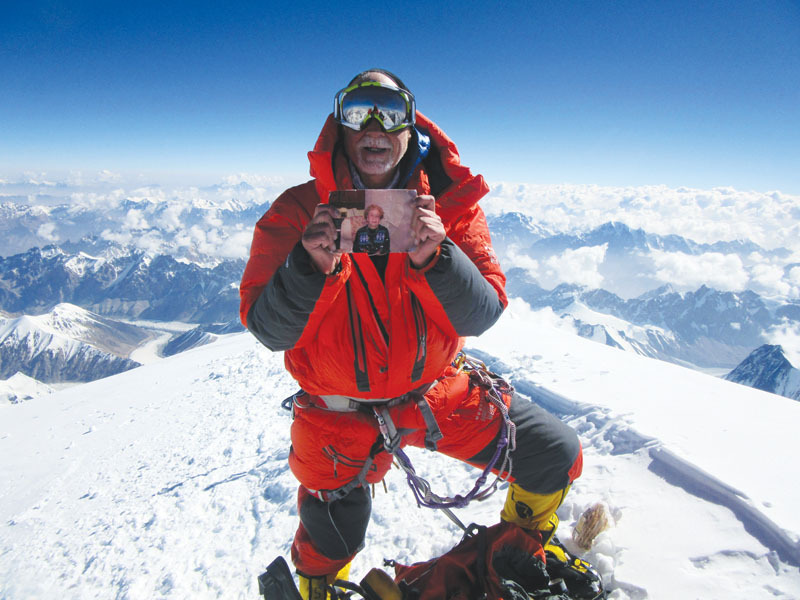 Alan Arnette has accomplished many impressive mountaineering feats. He has climbed all of Colorado’s 14ers, often by technically complex routes. In 2011, he stood atop Mt. Everest, and in 2014 he became the oldest American to summit the notoriously deadly K2 when he reached the top on his 58th birthday. But Arnette does not scale the world’s highest peaks simple for personal glory. It’s a much more personal quest. “I climb mountains to bring attention to one of the most dangerous diseases on this planet: Alzheimer’s,” he says. When Arnette’s mother Ida passed away from the disease in 2009 he knew he had to do something. Watching his mother disappear was painful, but it was the fact that four of his aunts had also succumbed to the disease that really motivated him to make a difference. “The chances are high that I might die from this disease, the odds are not in my favor, I want to do all I can before that has a chance of becoming a reality,” he says. What he has done is remarkable. Launched in 2008, his website alanarnette.com has become one of the foremost information portals on the web about Everest, as well as all 14 of the planets 8,000 meter peaks. That beta, coupled with his climbs, has given him a platform to spread his message about the dangers of the disease which has a new diagnosis every 57 seconds in the United States alone. Arnette is also continually giving presentations about his mountaineering exploits.